The Spring and Fall are high allergy season for many of us, and while some of us have the typical symptoms of nasal congestion, sneezing, itchy watery eyes, and a clear runny nose, others only see one thing: lower eye bags. Some pockets of the United States, with Charlotte being one of these lucky “pockets”, are especially bad for seasonal allergies. Luckily, for all of us allergy sufferers, there are great over the counter solutions to treat all of the symptoms listed above. Any patients that I have with the above complaints are first questioned about their symptoms and triggers for these, as allergies are common, but there are more rare causes of nasal congestion and facial pain (such as migraine headaches triggered by perfumes rather than pollen) and also other causes of lower eye swelling (such as thyroid conditions or excess orbital fat). In the absence of these, and when people have annual symptoms like clockwork, the probability of having allergies is quite high, and the diagnosis is made (though without formal allergy testing). 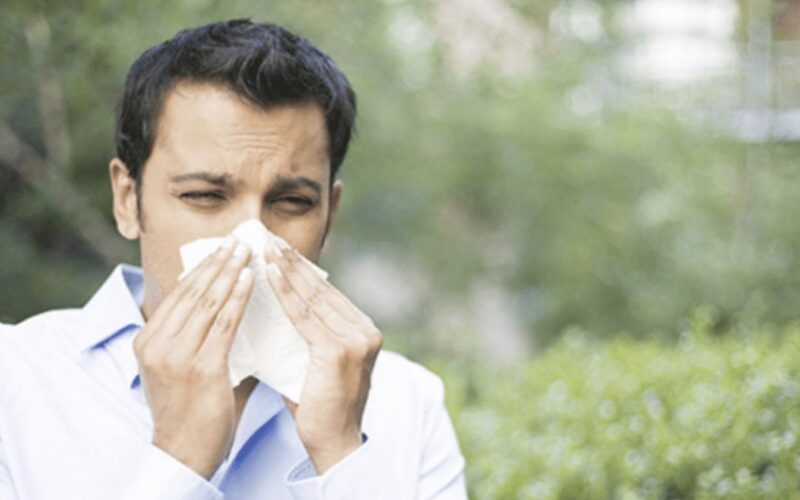 My preferred nasal rinses are the NeilMed Sinus Rinses, as they physically remove the pollen, mold, dander, or other nasal irritant from the lining of your nose. The other medications treat the lining of the nose, but physical removal of the irritants makes the remainder of the job easier. Other nasal rinses are available, as well as powered nasal washers that have now crept up on the market. I have no experience with these, and continue to use the NeilMed Sinus Rinse and recommend it to my patients. Of note, distilled or boiled water should be used with these rinses, as rare infections are possible with using tap water. These sprays were prescription only just a few years ago, and since becoming over the counter and going generic, the cost has come down quite a bit. I used to pay $30 for a one month supply, and now these can be had for under $4. My preferred nasal spray is fluticasone propionate 50 mcg spray, the generic form of Flonase. Costco has a version branded Aller-Flo, costing much less than I used to pay for a prescription. The alternative to this spray is Nasonex or its generic form, mometasone. Proper use is one spray in each nostril twice a day. Do this spray with your chin down, and aiming the spray toward your ear. Inhale gently during spraying. Snarfing this while spraying will just put the steroid into your throat, which does not help your nose at all. If you taste this about 5 minutes after spraying, then it has spent enough time hanging out in your nose to do its work. It decreases the swelling of the lining of your nose, and improves nasal congestion and sneezing as well. Nasal steroids should be thought of as a “maintenance treatment” not an “as needed” treatment, and they take a week of regular use before you see results. Use them for a month at a time rather than only when you feel congested to get the best results. Oral antihistamines, which many people use as the primary treatment of allergies, are not my favorite treatment of allergies. My philosophy is that if someone’s symptoms are primarily nasal, such as sneezing, runny nose, and nasal congestion, then treating the nose is the best option. If itchy, watery eyes are a bigger problem, or if the nasal treatments treat the nose well but these ocular symptoms remain, then I add oral antihistamines. My first choice is fexofenadine 180mg, the generic form of Allegra. This was a prescription medication a few years ago, and has gone generic and over the counter, making it a powerful anti-allergy tool. Prior to that, only lesser antihistamines such as Claritin, Clarinex, Zyrtec, Xyzal, and Benadryl, were available, and I call these “lesser” because their primary drawback is the side effect of sedation. Fexofenadine is not sedating like the rest, which makes it “the best” in my opinion. This is available at Costco as Aller-Fex and can be taken twice daily safely. Some people have bags under their eyes that are due to excess orbital fat, and this can get worse with time, as the fat “bulges” out due to a weakening of the tissues holding the fat pockets back. These eye bags require surgical removal of the fat, which can be a permanent solution. If you have both — fat and fluid, my solution is to treat the fluid first, and if the eye bags are still worrisome, then to remove the fat. I personally have no relationship to Costco other than being a customer there, and have found that the products listed above have helped quite a few of my patients with their allergies as well as reduce the bags under their eyes. If you find better deals on these products, then please share them in the Comments section of this blog posting so that others in the community can benefit from it as well.